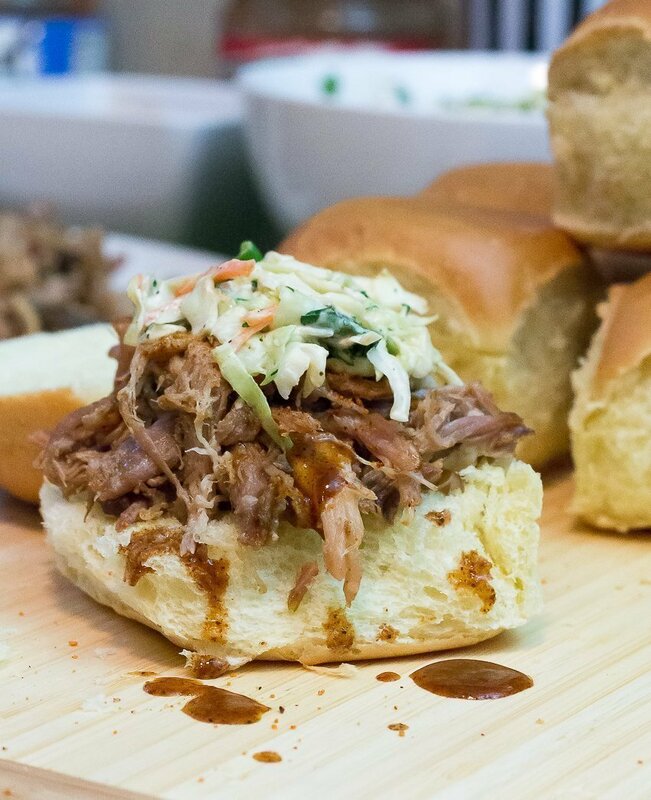 This Ultimate Pulled Pork Bar will score a win with your guests on game day. It has all the fixings for nachos, flatbread pizzas and sliders. Guests will fall in love with the tender, fall-apart pulled pork, extra cheesy queso dip and crisp Sriracha coleslaw. We might be moving in less than a week, but we will be watching the big game on February 5th with friends in Ohio. Football season is one of my favorite times to entertain, so when Cost Plus World Market asked me to share a few tips and recipes on the Discover blog this month, I jumped at the chance. I grew up in a small Midwest college town where tailgating is a sport all on its own. And I learned a long time ago there are things you can do to make the experience easier on yourself, and more fun for your guests. Whether you are manning the grill outside your favorite stadium, or whipping up goodies at home, no one wants to spend the whole game feeding people. My trick to a winning game day food bar: you cook a little, use a ton of delicious shortcuts, and let guests serve themselves. 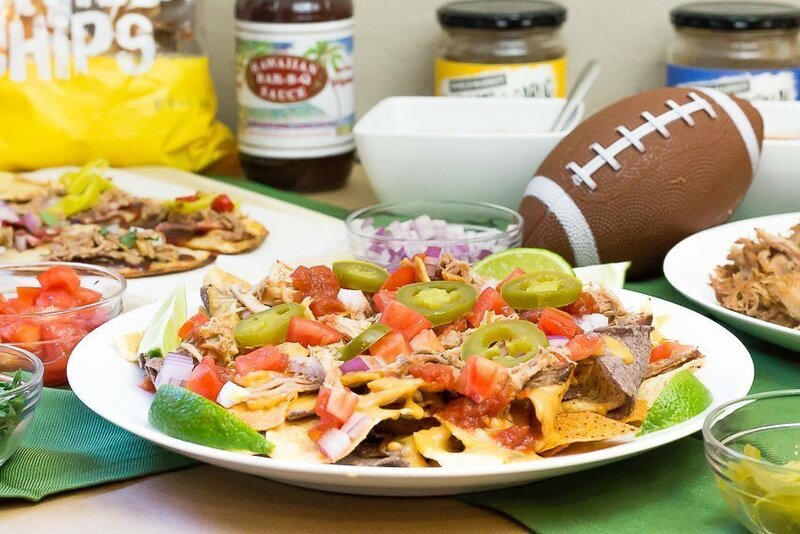 Since nachos, sliders and pizza are always at the top of our game day menu, I’ve created a few recipes that go together for this Ultimate Pulled Pork Bar! I love that Cost Plus World Market has all the snacks, recipe ingredients, and tableware we need for this fun set up. 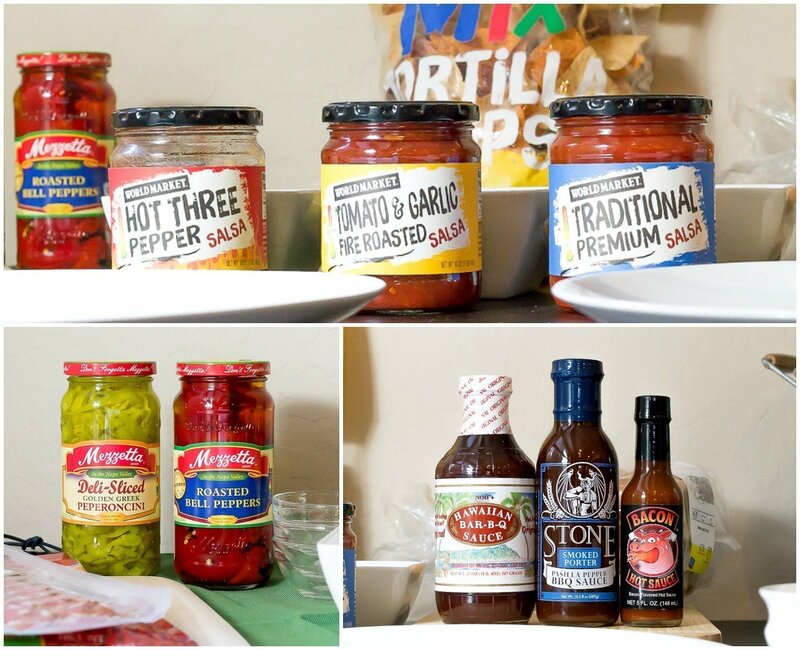 You can find everything from a variety of BBQ sauces for your pulled pork sliders, to jarred salsa, peppers and chips for a plate of insane pulled pork nachos topped with my extra cheese queso dip. Creating personalized pulled pork pizzas is always a hit with guests too. Be sure to pop over to the Discover blog for these fun recipes and more!